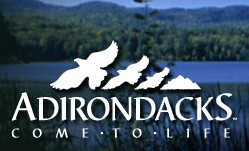 Adirondack Region, N.Y. - The Adirondack Regional Tourism Council announces the launch of the free downloadable Adirondacks mobile application and mobile travel website: m.adk.com. Mobile websites and "apps" allow users to access specific information with the touch of a finger. Now, smartphone and iPad users can access the best of Adirondack lodging options, events, restaurants, attractions, hiking trails, paddling routes and campground information on the go. The free Adirondacks mobile application is available for iPhones, Blackberry and Android. Industry forecasts predict that 50 percent of web traffic will come through mobile devices by 2013. (Source: The International Data Corporation). "The new mobile website and Adirondacks travel app will act as a guide book, GPS, map and travel agent all in one," states Ron Ofner, executive director of the Adirondack Regional Tourism Council. "More than 10 million people visit the Adirondack Region annually and these new features will make travel decisions easier." When smartphone users download the Adirondacks mobile app, they will be able to research everything that goes into planning and enjoying an Adirondack vacation. The "What&apos;s nearby?" function provides travelers with an easy way to discover points of interest wherever they are within the Adirondack Region. One of the benefits of the app is that the information is available at all times regardless of cell coverage by using the phone&apos;s built-in GPS capability. M.adk.com and the Adirondacks app were developed by the Adirondack Regional Tourism Council and Adworkshop of Lake Placid, NY. About the Adirondacks: The Adirondack Region is a six-million-acre New York State Park offering limitless recreation amid 2,000 miles of hiking trails and 3,000 lakes and ponds. Part of the largest temperate forest in the world, the Adirondack Region is also home to 100 towns and villages. The Adirondack Region is a unique park offering year-round recreation and events. Download or request an Adirondack Waterways Guide, search events Adirondack vacation packages, and images at VisitAdirondacks.com.